It is worldwide known that the Greek islands are a perfect destination for romantic holidays. They constitute a charming getaway for partners, honeymooners and couples who wish to have an amazing time far from crowds and stress. Each island, though traditional in their style, has a special atmosphere that brings out all romantic feelings. Arrange a magical wedding, exotic honeymoon or just spend a lovely summer in one of the best Greek islands for couples, combining history, natural beauty and excellent gastronomy. 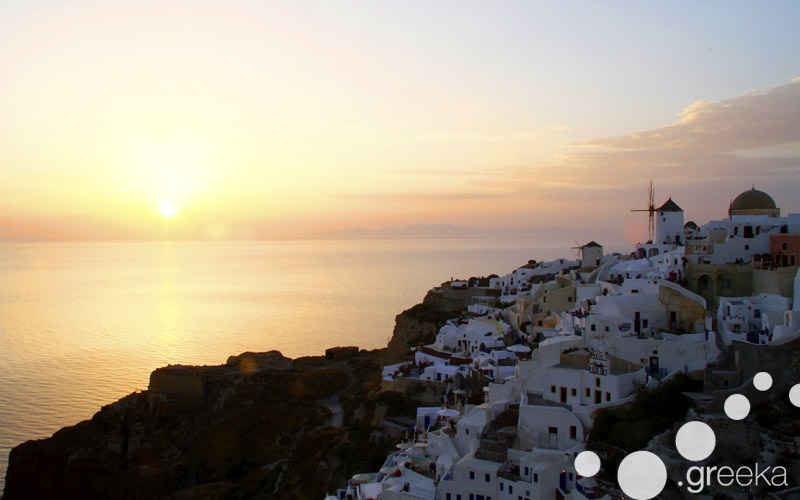 One of the top romantic destinations in the world, Santorini is the ideal island for an unforgettable honeymoon. Hundreds of romantic boutique hotels provide the perfect ambiance for a private and romantic getaway. Santorini is famous for the water filled caldera and the amazing villages, constructed on top of caldera cliffs. Couples in Santorini can have a spectacular time in the traditional villages of Fira and Oia, strolling along narrow alleys and enjoying spectacular volcano and sunset views. A must activity is swimming in extraordinary beaches, like the Red beach, and taking a romantic cruise to the volcano crater. Regarded as the island of lovers, Milos is indeed one of the best Greek islands for couples. Charming landscapes of extraordinary rock formation, remote coves and emerald waters make Milos a perfect spot for romance and relaxation. There are also Milos hotels with fantastic sea view and great facilities on the island, ideal for couples and honeymooners. 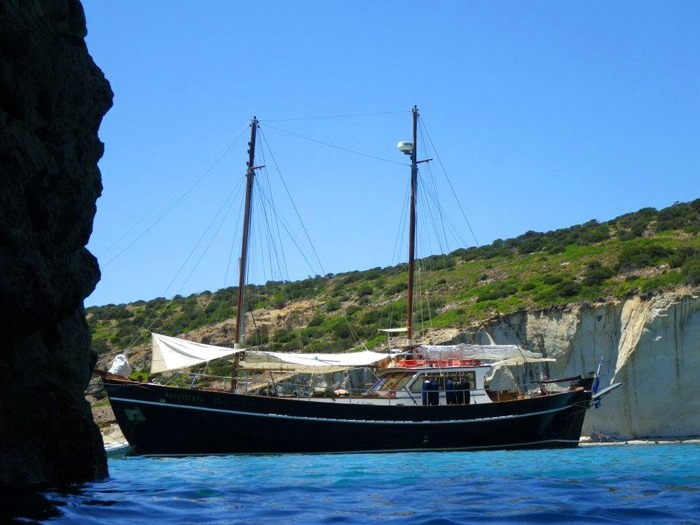 Holidays in Milos with your significant other must include a boat trip to Kleftiko Sea Caves, the astonishing lunar setting of Sarakiniko, and amazing fishing villages. In Milos there are also picturesque old churches, ideal for magical wedding ceremonies. Blessed with lush greenery and crystal clear sea, Corfu island is a romantic paradise for couples and honeymooners, due to its multi-cultural heritage and stunning scenery. The romantic atmosphere is complemented by the Venetian background of the island, especially the Old and New Town. 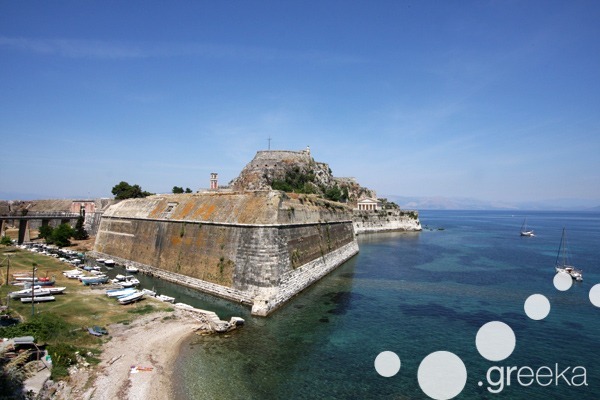 There is a wide variety of sightseeing, which takes you through a charming journey of Corfu history. Visit impressive fortresses, lovely palaces, Venetian buildings, walk through cobbled alleyways and have a drink with your other half in popular romantic spots, like Spianada Square and Liston. One of the best Greek islands for couples is the historical Rhodes. Boasting a romantic Medieval atmosphere, Rhodes has a wealth of historical and cultural sites, combining them with incredible natural surroundings. The most romantic spot is the Old Town of Rhodes, one of the best preserved Medieval towns in Europe. There visit the Palace of the Grand Master, walk the Street of Knights and spend the evening in one of the many bars. Romantic places that must not be missed by couples are the amazing village and Acropolis of Lindos, the magnificent Valley of Butterflies and surely the numerous beaches of the island. A cosmopolitan island of the Argosaronic Gulf, Hydra is an elegant destination for classy romance. It is very popular, attracting a lot of tourists in summer, due to its closeness to Athens and the short ferry ride (only 2 hours from the port of Piraeus). 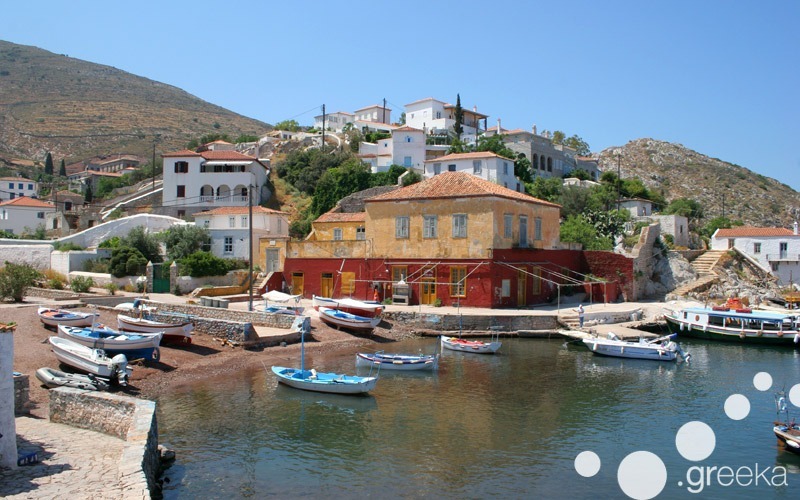 The town of Hydra, built amphitheatrically on a hill around a natural harbour, is by far the most charming spot on the island, with elegant stone mansions and the marvelous Aegean Sea at its front. As all vehicles are banned in Hydra, you can have a romantic walk along the waterside or up the lovely cobbled streets of the island.